We're very excited to be hosting the 2016 Bayside Children's Literary Festival aimed at our local schools which will be held on Thursday 11 August 2016 at Sandy by the Bay, Sandringham Football Club. 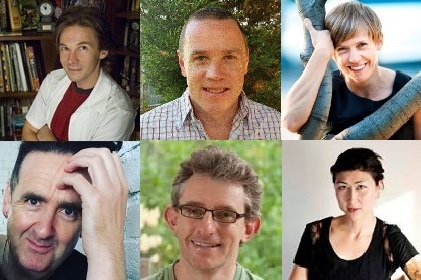 We have a great line-up of authors that schools can bring their students to see including George Ivanoff, Patrick Guest, Ailsa Wild, Alan Brough, Damean Posner, and Leanne Hall. Each session will involve a 45 minute talk and questions session after which the students will be able to have their copies of the author’s books signed. Students can bring the author’s books from home, pre-order them for collection on the day or purchase them at our pop-up store. Our aim has been to make the Festival affordable for schools so that as many children as possible can hear these authors speak and so instead of a per student ticket price, there is a $25 fee that allows the school to bring up to 60 children per session for each of the six sessions.